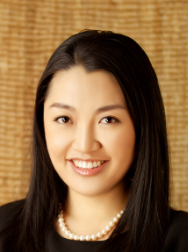 Article: SEC Guidelines on EB-5 Offerings By Yi Song, Esq. The Securities and Exchange Commission (SEC) issued an Investor Bulletin about investing in unregistered securities offerings, or private placements, under Regulation D of the Securities Act of 1933. Under the securities laws, EB-5 investment is considered a securities offering exempt from registration with the SEC. This kind of securities offering is referred to as a private placement or an unregistered offering. Under the federal securities laws, a company may not offer or sell securities unless the offering has been registered with the SEC or an exemption from registration is available. Generally speaking, private placements are not subject to some of the laws and regulations that are designed to protect investors, such as the comprehensive disclosure requirements that apply to registered offerings. The EB-5 projects conduct private placements to raise capital from foreign investors. They offer or sell securities claiming Regulation D exemptions from registration with the SEC. When reviewing EB-5 Private Placement Memorandum, you may see a reference to Regulation D. Regulation D includes three SEC rules—Rules 504, 505 and 506—that issuers often rely on to sell securities in unregistered offerings. The entity selling the securities is commonly referred to as the issuer. Each rule has specific requirements that the issuer must meet. Rule 504 permits certain issuers to offer and sell up to $1 million of securities in any 12-month period. Under Rule 505, issuers may offer and sell up to $5 million of their securities in any 12-month period. The most commonly used Regulation D exemption for EB-5 projects is Rule 506 where an unlimited amount of money may be raised. There are two options under Rule 506 for EB-5 projects. Rule 506 (b) offerings cannot use general solicitation but can have up to 35 non-accredited investors participate as long as EB-5 investors are provided extensive information about the issuer. The Jumpstart Our Business Startups Act (JOBS Act) enacted Rule 506(c), which allows general solicitation, but the securities must be sold to accredited investors only and the issuer shall take reasonable steps to verify the accredited investor’s status. Thus, EB-5 projects and regional centers can advertise their projects in the newspaper, on the website, through social media, on TV, radio or podcast, or to the general public as long as certain securities requirements are met. Please consult experienced EB-5 counsel for details. Does an EB-5 Investor have to be an Accredited Investor? OR has a net worth over $1 million, either alone or together with a spouse (excluding the value of the person’s primary residence and any loans secured by the residence (up to the value of the residence). However, an issuer relying on Rule 506(b) may sell to an unlimited number of accredited investors, but to no more than 35 non-accredited investors. The non-accredited investors in the offering must be financially sophisticated or sufficient knowledge and experience in financial and business matters to evaluate the investment; in other words, they must be rich and smart. This sophistication requirement may be satisfied by having a purchaser representative, such as a broker/dealer for the investor who satisfies the criteria. An investor engaging a purchaser representative should pay particular attention to any conflicts of interest the representative may have. If non-accredited investors are involved, the issuer must disclose certain information about itself, including its financial statements. If selling only to accredited investors, the issuer has discretion as to what to disclose to investors. Any information provided to accredited investors must be provided to non-accredited investors. The unique aspect of EB-5 investment is that it is an immigrant visa. The top priority of EB-5 investors is obtaining US permanent residence. It is important for investors to obtain all the information to make an informed investment decision. In fact, issuers relying on the Rule 505 and 506(b) exemptions from registration must provide non-accredited investors an opportunity to ask questions and receive answers regarding the investment. Unlike registered offerings in which certain information is required to be disclosed, investors in private placements are generally on their own in obtaining the information they need to make an informed investment decision. It is advised that investors engage professionals to conduct due diligence before making the investment decision. All EB-5 offering issuers relying on a Regulation D exemption are required to file Form D no later than 15 days after the first sale of securities in the offering. If the issuers use general solicitation to raise capital, Form D needs to be filed 15 days before commencing the general solicitation. The Form D will include brief information about the issuer, its management and promoters, and the offering itself. It is very important that the EB-5 regional centers and projects inform investors of the nature of the Form D filing. It is not a SEC registration. A cautionary tale in SEC v. Fleet Mutual Wealth, the SEC obtained a federal court order freezing stolen investors’ funds. The SEC alleged that the defendants falsely claimed that their firm was “registered” or “duly registered” with the SEC and pointing to the firm’s Form D filings to support this misrepresentation. This article is a general summary of complex securities law issues. No legal advice is provided in this article. Please consult an attorney or investment adviser for specific advice applicable to your circumstances. Mona Shah & Associates reserve and hold for their own use, all rights provided by the copyright law, including but not limited to distribution, producing copies or reproducing, sales of this document. This article is a general summary of complex securities law issues. No legal advice is provided in this article. Please consult the securities attorney for advice applicable to your particular circumstances. Yi Song, Esq. is an attorney at Mona Shah & Associates in New York City. She is also licensed to practice law in People's Republic of China. Before joining Mona Shah & Associates, she worked at a securities litigation firm in Manhattan. She clerked at China's high court - the Supreme Court of People's Republic of China. At Mona Shah & Associates, Yi practices EB-5 law and securities law and works on many successful EB-5 capital raising projects. She obtained her LL.B. degree from Beijing Foreign Studies University and she is a graduate from Georgetown University Law Center in Washington, DC. Yi is a native speaker of mandarin Chinese. She speaks fluent English and basic French.